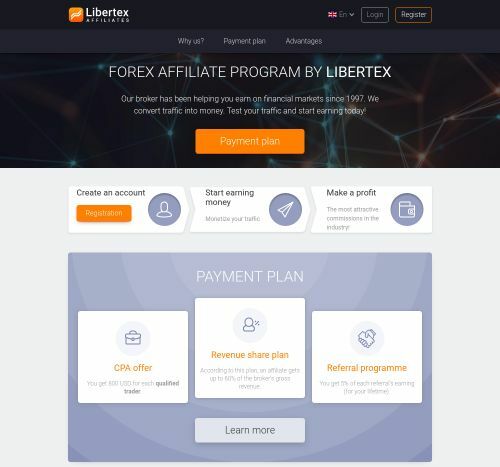 Llibertex Affiliates - Affiliate CPA network reviews and details. Great Affiliate program! I highly recommend working with them as they have good conversion rates, fast payouts (never had issues with payments) and great tracking system using the CAKE platform. They have the backing of FxClub, which is a huge Russian broker and because of that I have no concerns when it comes to statiblity. The only downside would be the creative materials as they could offer a lot more options, but that can be solved without a hasle as they can create custom materials when requested and more options are always being delivered. Worth to try!